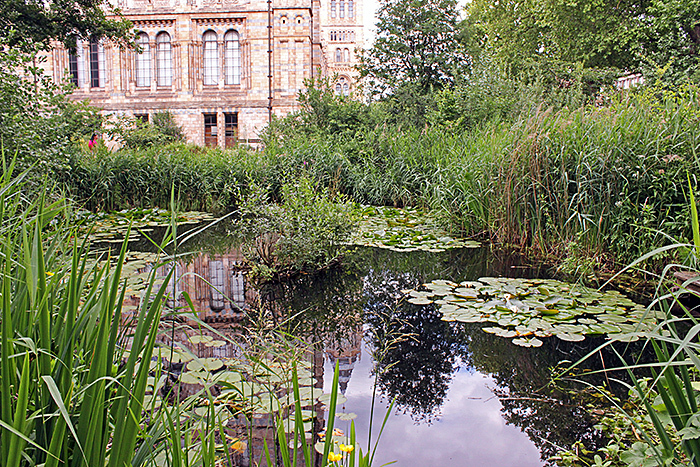 As in previous years, the Natural History Museum kindly allowed us to use the Angela Marmont Centre for our annual Young Scientists’ Day (part of the Club’s outreach programme) and provided a gazebo, tables and chairs near the pond in the Wildlife Garden. 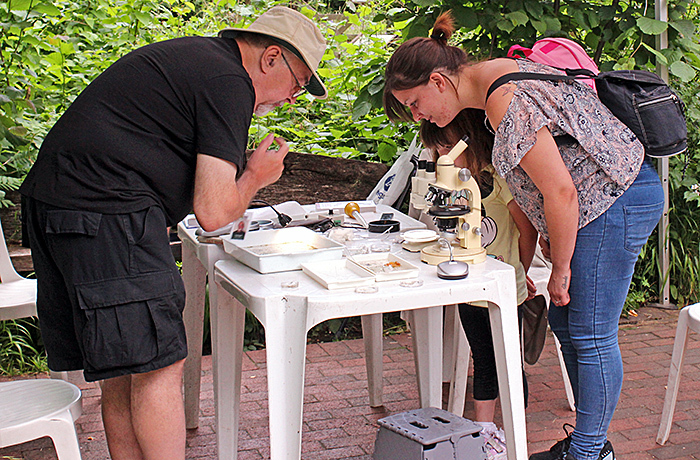 Among the visiting families, we were pleased to see familiar faces from the Wimbledon Common BioBlitz and Microscopes: More Than Meets the Eye. 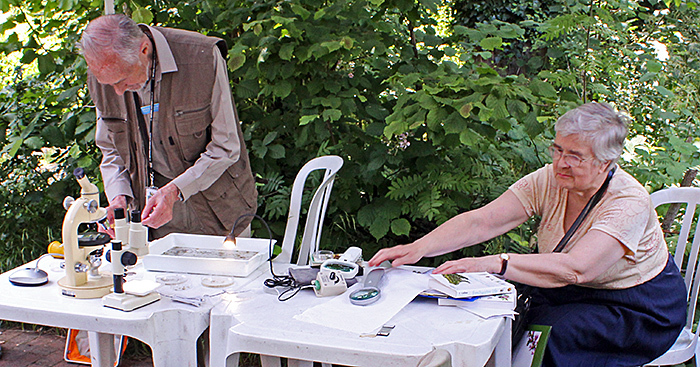 James Rider used a net to collect material from the pond in the garden, and found plenty for us to observe under the gazebo and indoors. 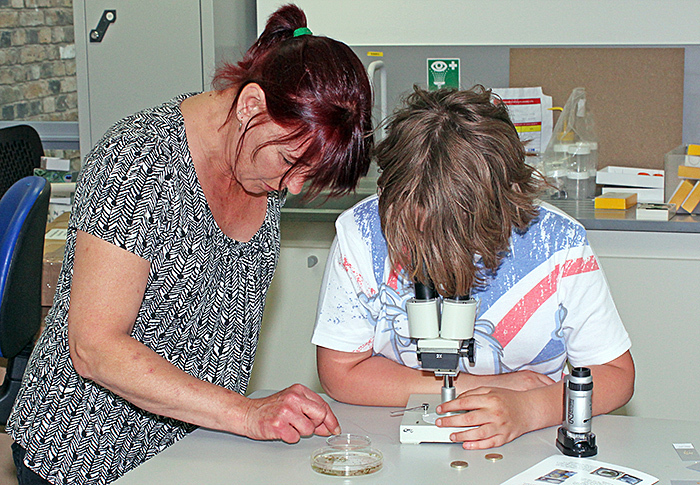 Specimens included lots of large waterfleas (Daphnia magna Straus) and phantom midge larvae (Chaoborus sp. 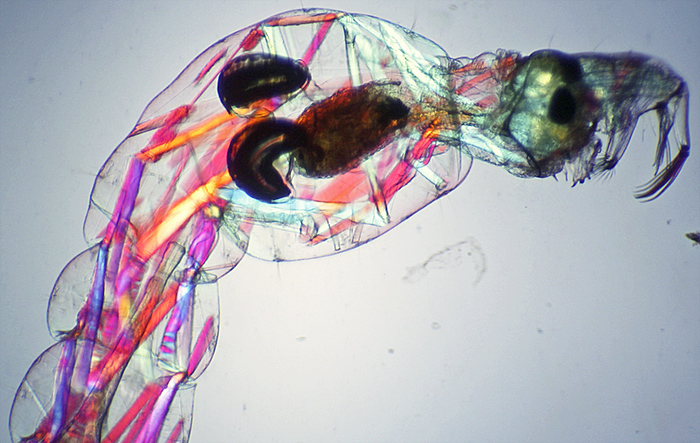 ), copepods, water boatmen (Notonecta sp. 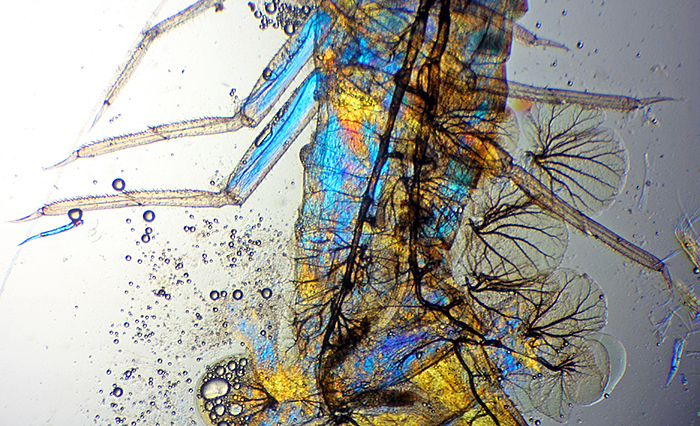 ), water-lice (Asellus aquaticus (L.)), freshwater shrimps (Gammarus pulex (L.)), flatworms (including Dugesia lugubris (O. Schmidt)) and pond snails. 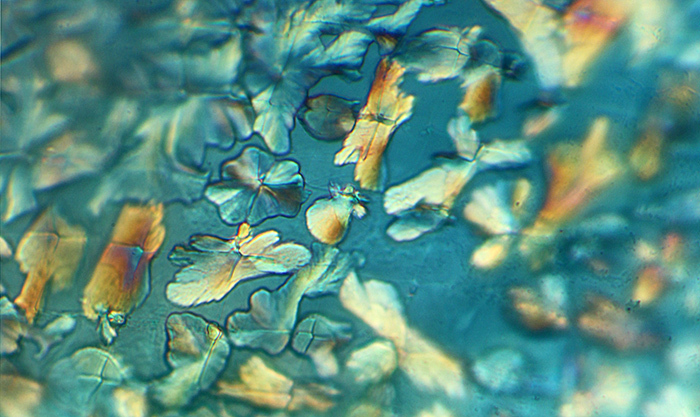 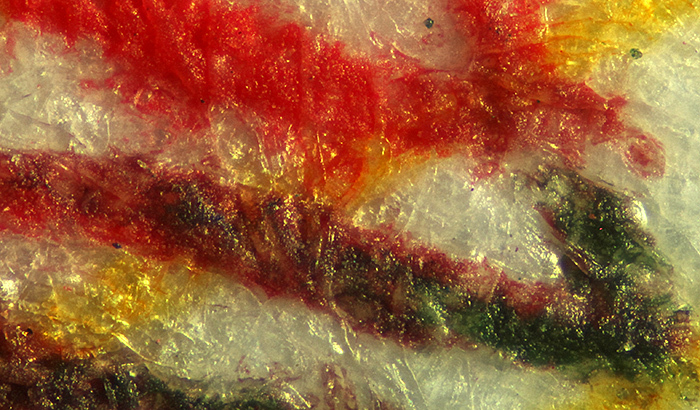 In the Angela Marmont Centre, Pam Hamer used two of the small battery-powered Natural History Museum Pocket Microscopes to show sugar crystals, salt crystals, paper, fabric, printing and beach microfossils mounted on plastic microscope slides, and she also had a stereomicroscope (for looking at pondlife and microwriting on banknotes, and checking £1 coins to see if they were forged) and copies of some of the Club’s leaflets. 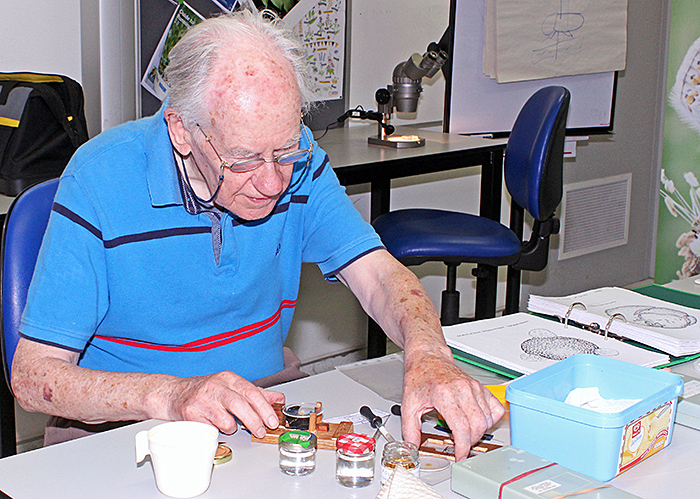 Norman Chapman brought some of his drawings and slides of pollen, and demonstrated how he extracts and prepares pollen. 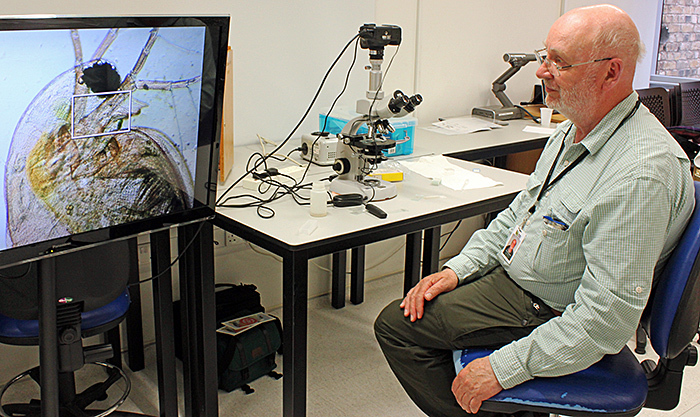 The highlight of the indoor display was the big television connected to the Club’s Canon EOS 550D camera and Zeiss Standard trinocular microscope, expertly demonstrated by David Linstead. 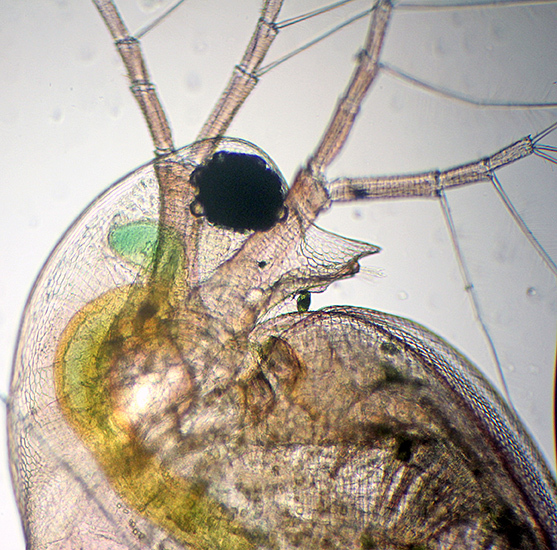 This combination produced some stunning images of large waterfleas (Daphnia magna Straus), so that visitors could see their beating hearts, guts full of green algae, minute details of the cuticle and (with crossed polarising filters) the muscles. 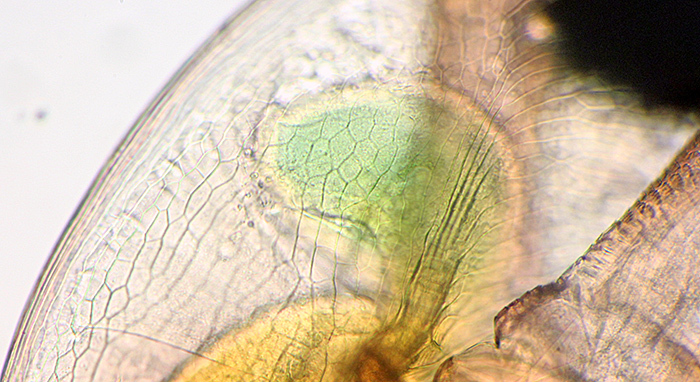 Crossed polars also allowed the muscles in the transparent larvae of phantom midges (Chaoborus sp.) 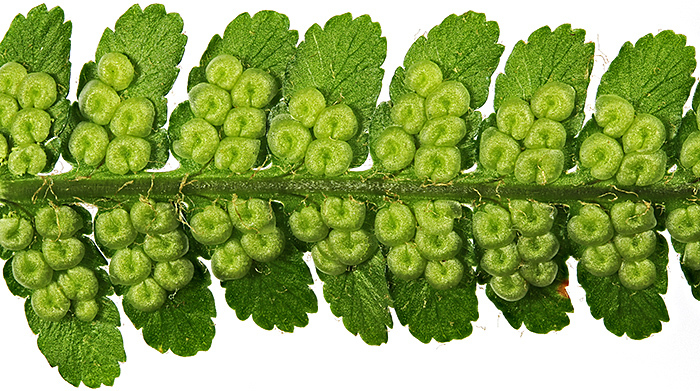 to be clearly seen. 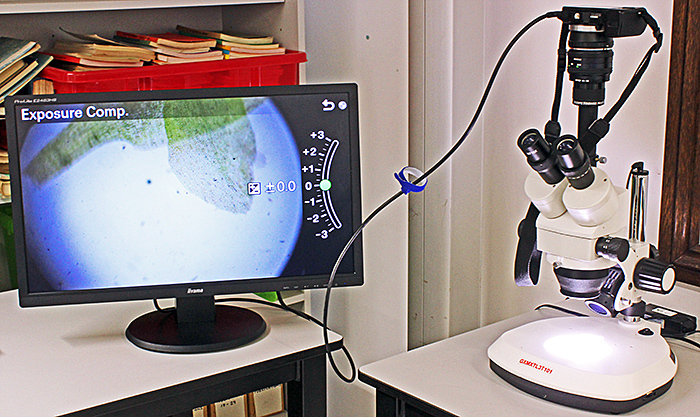 David also set up another of the Club’s Zeiss microscope with phase contrast, and the Club’s new trinocular stereomicroscope connected to the smaller television via David’s Sony NEX-5N digital camera and Scopetronix MaxView Plus for viewing pondlife. 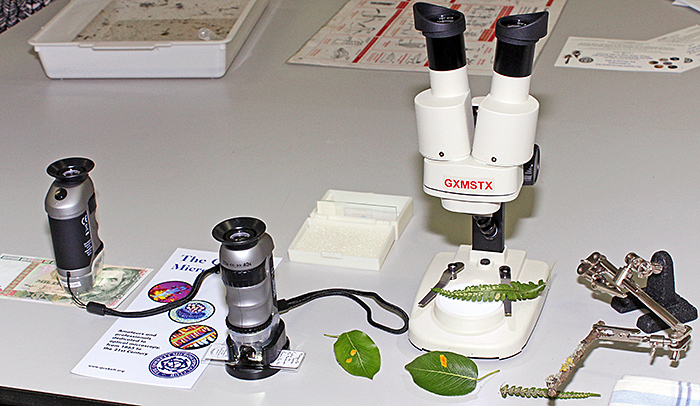 Alan Wood brought 2 of the new version of the Natural History Museum Pocket Microscopes (one with the attachment for viewing slides) and his small 20× stereomicroscope (from eBay seller gt-vision), a Helping Hand for holding specimens under the stereomicroscope, and a variety of specimens. 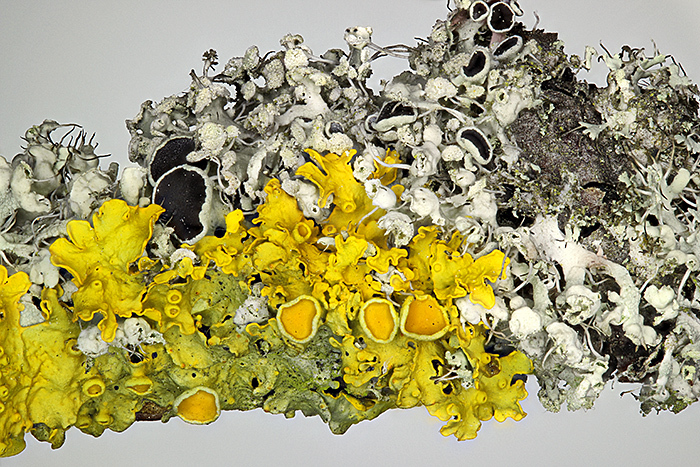 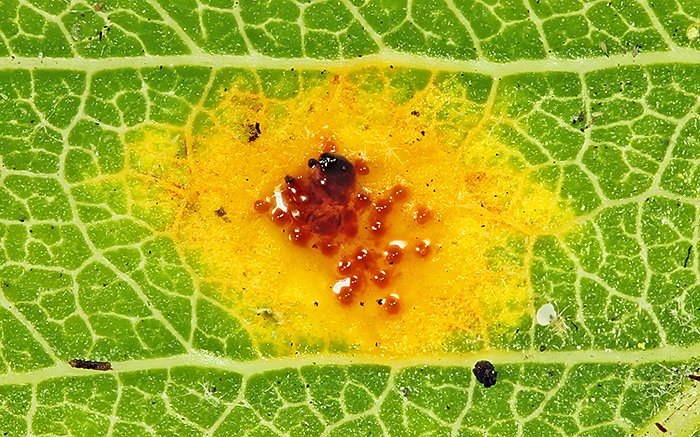 From his garden, he had fern fronds with circular sori underneath, pear leaves with a fungal gall, and lichen on a pear twig. 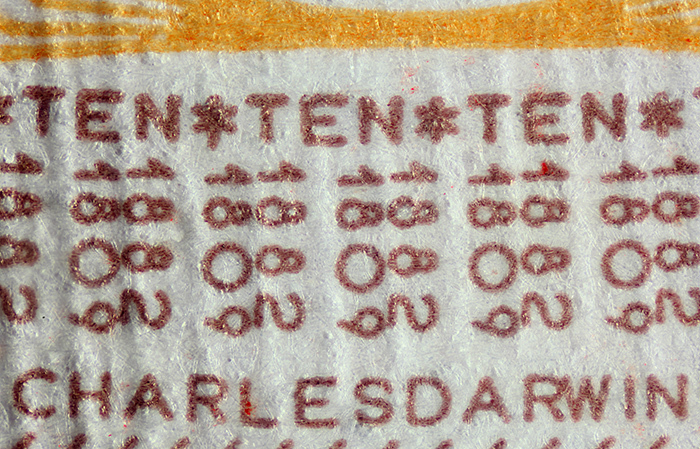 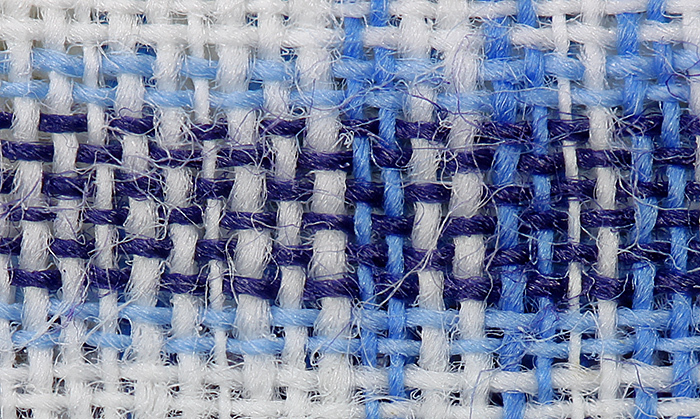 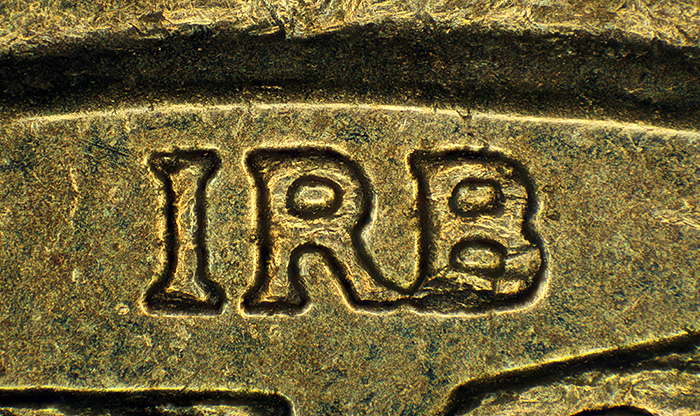 Alan showed 2 types of colour printing, halftone used on the Quekett brochure, and offset litho used on a bank note from Peru, shown below at exactly the same magnification. 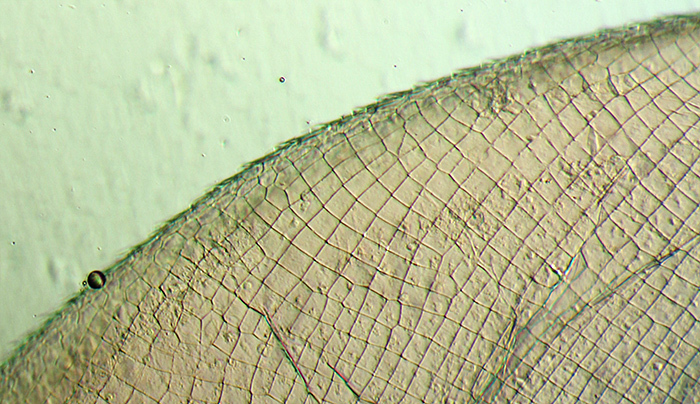 Alan also brought some slides to view with the NHM microscope, including a mosquito larva and a stained cross-section of the stem of a sunflower. 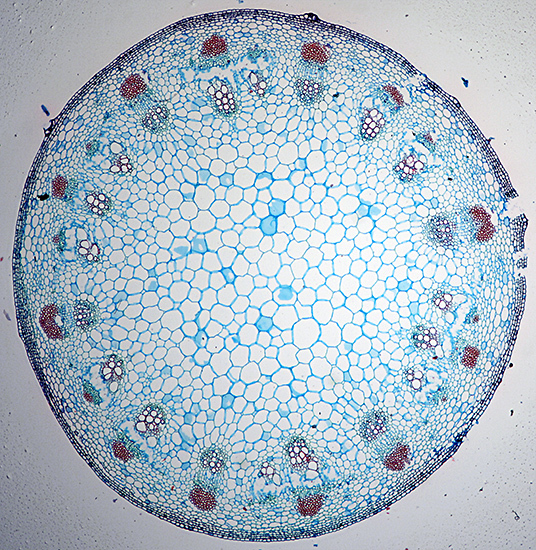 Outside in the Wildlife Garden, Paul Smith, Dennis Fullwood and Jenny Drewe showed pondlife using hand lenses, a Wild M11 compound microscope and a small 20× stereomicroscope (the same as Alan’s but from a different supplier). 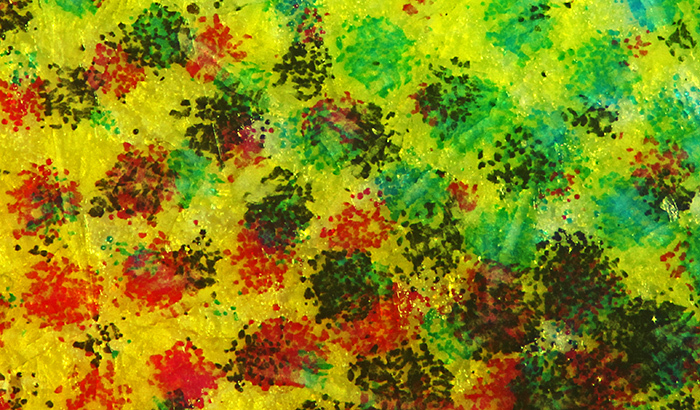 Maurice Moss was there too, talking to visitors about pondlife and and showing them colours in Cellophane® using his polariscope. 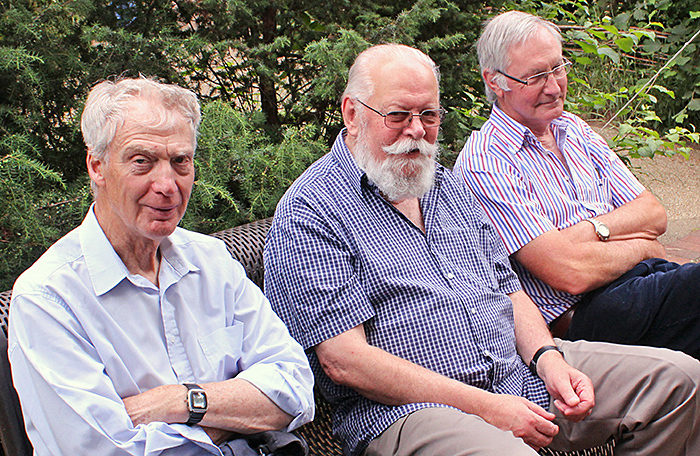 Carel Sartory, Nigel Williams and Jacky McPherson were also there.